General Motors has partnered with ride-hailing service Lyft to offer drivers the use of a car for as little as $99 US a week — and potentially for free if they do enough driving. Several U.S. cities, — including Chicago, Boston, Washington, D.C., Baltimore and others — will soon be test markets for a plan that will offer would-be Lyft drivers access to a new GM vehicle which they can use to pick up fares and make money themselves, much like a taxi. At launch, all vehicles on offer in the program will be Chevy Equinoxes, an SUV that seats four passengers plus a driver. It's a partnership between two companies that have already been working closely together behind the scenes. Earlier this year, GM invested $500 million US in Lyft, a service that competes with Uber in the fast-growing ride-hailing industry. Drivers will pay a rate starting at $99 US for a week, with maintenance and insurance costs included. They pay the cost of gasoline, but earn money by giving rides to customers to hail their service via a smartphone app. Drivers who use the car to make more than 65 trips a week — a little under 10 fares a day — will see their fee to use the car reduced to nothing. In early 2016, Lyft was providing seven million rides a month in more than 190 U.S. cities. 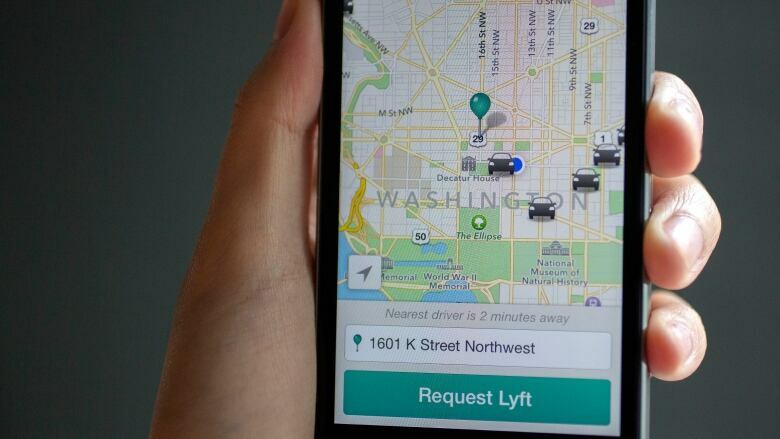 Lyft said in Chicago alone, it had received 60,000 applications from people who wanted to drive for the service but who didn't have a suitable car. In January, the two companies said the goal was to one day take out the driver entirely, and offer a network of self-driving vehicles to get people around. "We will work with GM to build a network of on-demand, autonomous vehicles that will make getting around more affordable, accessible and enjoyable," Lyft said in a statement. "GM will also establish a series of national rental hubs where Lyft drivers can access short-term vehicles, unlocking new ways for people to earn money without having to own a car."